Researcher Bill Marczak, from the Toronto-based Citizen Lab which investigates digital espionage, told NPR he found evidence of spyware activity in Montreal that he believed was linked to the NSO Group and Saudi Arabia last summer. “I was able to identify this infection in Montreal, moving between two different locations: a home Internet service provider and a university Internet service provider.” Marczak then tracked down Saudi Arabian dissidents in Montreal who might be targeted for surveillance and found Abdulaziz, who began speaking out against Saudi Arabia’s government after moving to Canada. 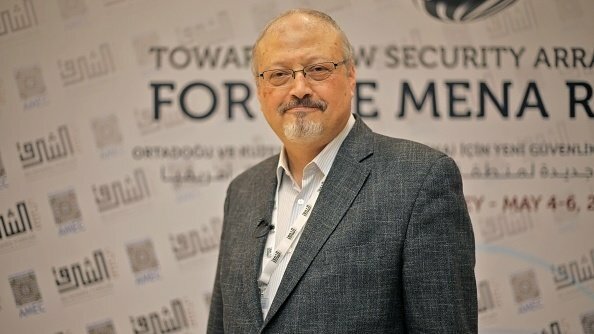 Abdulaziz told NPR that over the last year he and Khashoggi were targeted by trolls on social media — trolls that he believed were tied to Saudi Arabia’s government. “They were threatening Jamal so many times. So many tweets. So many people, they were telling Jamal, ‘We’re going to kill you,'” Abdulaziz said.